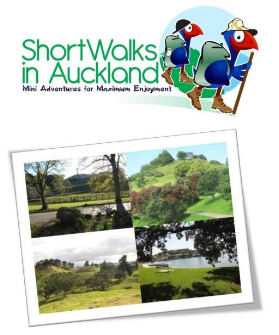 Find information, Google Maps, video, pictures, scavenger hunts and search facilities enabling you to select your perfect Auckland walk. Monitor your progress on your smartphone with our GPS Google track maps. Click on a map icon below and up pops the track name and description plus links to the Tracks info page and google map. Search by various categories such as length, location, difficulty, accessibility, facilities and weather dependence to find the right track for you! Read reviews and information about each track. 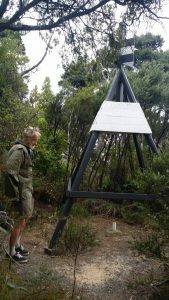 This is a free resource that has been produced to celebrate the work of my father-in-law, Hugh Willis, who over the past 30 years has created many tracks through bush reserves throughout the Albany / Torbay / Browns Bay area. We certainly trust you find the greataucklandtracks.com website useful and would value your comments and feedback. Please let us know if there is anything you feel was especially helpful or something we need to add or update. Also – if you enjoyed one of the tracks, please leave us a comment as this will assist others who are also looking for tracks. We visited Auckland and the north half of the North Island. Fascinating and beautiful country especially for someone from Hawaii to see the similarities in the Maori culture. We enjoyed every hike and the seriousness with which NZ is working to preserve its native ecosystems. Thanks so much for taking the time to read the post – trust you enjoyed it. Its great you have been able to visit NZ – we are certainly blessed with great scenery and access for all to these beautiful sites. I am hoping this website will help people in Auckland to take advantage of this natural beauty more regularly and easily. Maybe next time you visit here – you may be able to make use of this resource!